KUALA LUMPUR (Jan 29): Automotive players that ventured into hybrid vehicles are expected to request the government to extend the incentive period for such entities, according to UMW Toyota Motor Sdn Bhd president Datuk Ismet Suki. Ismet said the extension would attract more players into the hybrid vehicle segment, as it would help them recoup their investments. A hybrid car can run using a petrol engine or electric motor, both of which are built into the vehicle. "I think what they (automotive players) want is for the government to deliver what is in the National Automotive Policy (NAP) 2014. Of course, for the hybrid (cars), they expect the government to extend the incentive period. "If you come in now, the duty exemption will be expiring in (end) 2015. So you need this gestation period to recoup the investments. Extension of the duty exemption will be welcomed by all industry players," Ismet told theedgemarkets.com, after the launch of the Lexus NX models here today. UMW Toyota Motor is a unit under diversified entity UMW Holdings Bhd (fundamental: 2.2; valuation score: 1.2), which is also involved in heavy equipment distribution, and oil and gas support services. Ismet's comment came ahead of the NAP 2014 status update tomorrow. International Trade and Industry Minister Datuk Seri Mustapa Mohamed is expected to be present at the meeting. 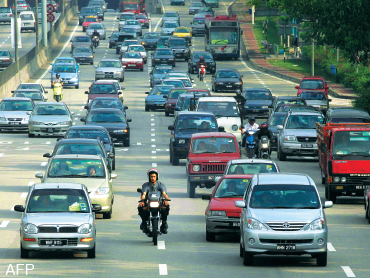 Under the NAP 2014, the government aimed to transform Malaysia into a regional hub for energy efficient vehicles to penetrate the regional and global markets by 2020. The policy will be accomplished via strategic investments and adaptation of high technology in the domestic market.